The solving engines of most of constraint programming systems use interval-based consistency techniques to process nonlinear systems over the reals. However, few symbolic-interval cooperative solvers are implemented. 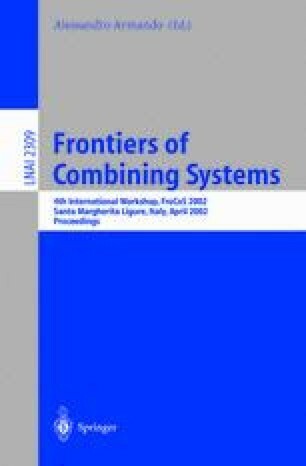 The challenge is twofold: control of the amount of symbolic computations, and prediction of the accuracy of interval computations over transformed systems. In this paper, we introduce a new symbolic pre-processing for interval branch-and-prune algorithms based on box consistency. The symbolic algorithm computes a linear relaxation by abstraction of the nonlinear terms. The resulting rectangular linear system is processed by Gaussian elimination. Control strategies of the densification of systems during elimination are devised. Three scalable problems known to be hard for box consistency are efficiently solved.